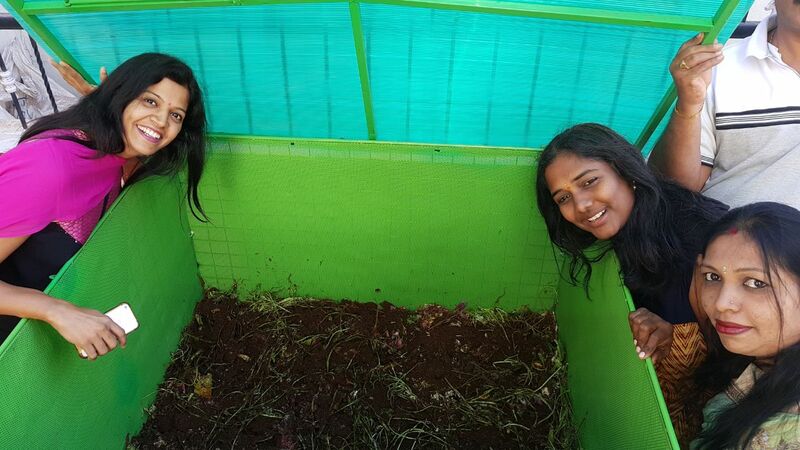 (L to R) Stonesoup co-founder Smita Kulkarni, SWM activist Shanthi Chowdhary and SWM volunteer Padma pose proudly with an Aaditi installed in a lane in HSR Layout. It is being managed by Padma and neighbours. There’s something undeniable about a good product design. It fits in.